Finally! After being together for five years and moving their relationship forward at a snail's pace, Amy and Sheldon finally spend their first night together. It's a beautiful thing. Nice move, Sheldon! 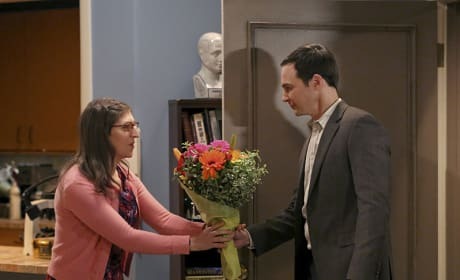 It's their first big date since they've gotten back together, and Sheldon is smart enough to bring Amy a bouquet a flowers. Maybe he really has learned a thing or two. 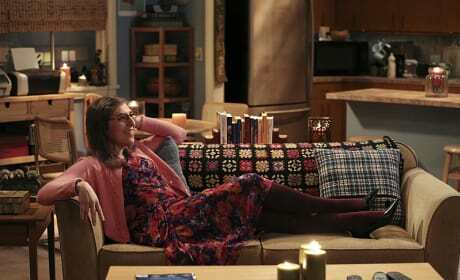 Amy is getting ready for a big date now that she and Sheldon are finally back together. This is also going to be the first time they spend the night together! 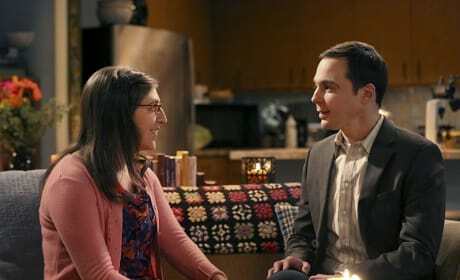 Sheldon and Amy are finally back together after a difficult break. It seems like it's been forever since we've seen Amy looking truly happy, but take a look at her face in this photo. Things certainly have changed. 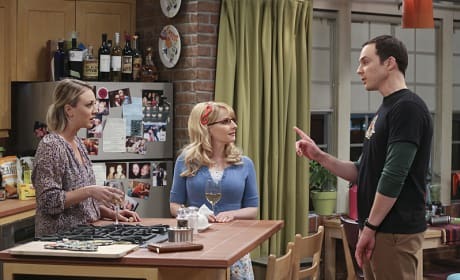 It's not rare for Sheldon to say something that gets a shocked reaction, but this time he might be even more surprising. Does he have something special planned for Amy? 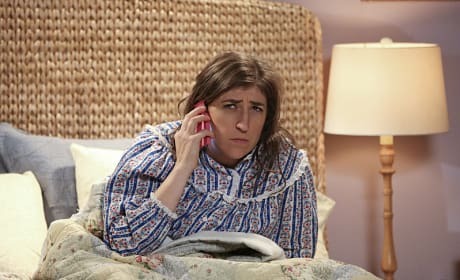 Amy gets phone call, and the face she's making probably suggests that it's a puzzling conversation with Sheldon, who she's been recently reunited with. The moment is finally here! It's time for the guys to get their tickets to the new Star Wars movie, but will they be able to get them before they sell out? Also, how cool is it that you can buy movie tickets with an app on your phone? The guys make plans to go see the new Star Wars movie, and there's no question that they're geeking out over every little detail. 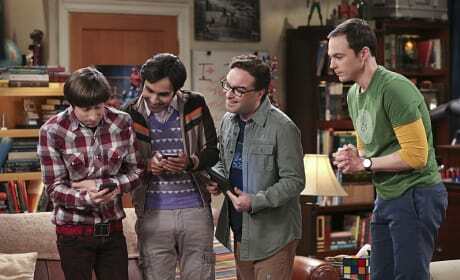 They also have to find someone to take their extra ticket, since Sheldon has more important plans! 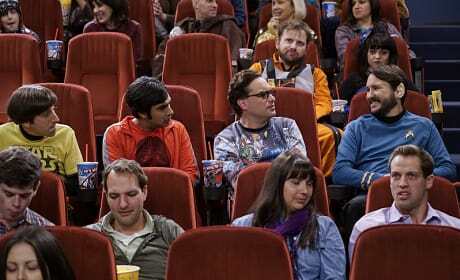 Wil Wheaton sits next to Leonard during the opening night of the new Star Wars film. Who else thinks that the guys are bothered by the fact that Wil is provoking a bit of a fandom war? 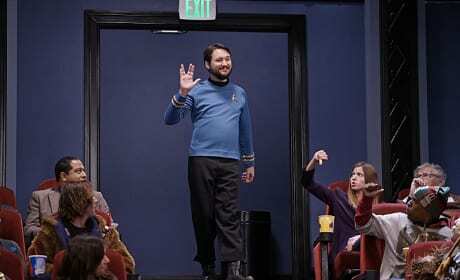 Looks like Wil Wheaton got that extra ticket, and he shows up to the Star Wars movie dressed in his best Star Trek attire. Well, that's one way to make a statement, isn't it? 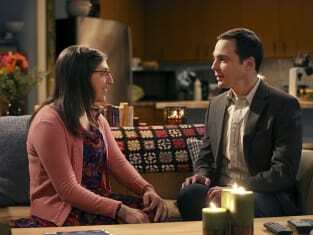 After five years of dating, Amy and Sheldon spend their first night together on The Big Bang Theory. "The Opening Night Excitation" is the 11th episode of the show's ninth season.